Turning young adult novels into movies is becoming a steady trend for studios since the enormous success of the Twilight adaptations. The Hunger Games and Divergent have shown that the recipe is working and sequels can be produced without too much worrying whether they'd make their money back. The fan crowd is out there and there's still lots of opportunities waiting. The next big thing seems to be The Maze Runner. The first film of the planned franchise hit US theaters with a PG-13 rating (of course) and immediately rushed to the pole position at the box office. In October, England will also get the theatrical start. Distributor chose to remove or reduce moments of threat, violence and injury detail in order to achieve a 12A classification. The first film of The Hunger Games suffered a similar fate while a BBFC 15 rating wasn't lucrative enough for the studio and violence had to go for the 12A. That cut version even found its way onto the UK DVD later on. 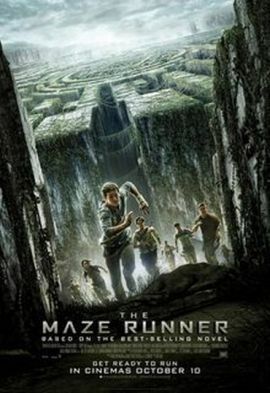 It's going to be interesting what home video fate The Maze Runner will have to face further down the line.